In the first of a three part series on Harris Tweed, Make it British presents Lara Platman’s book that marks the 100th Anniversary of this special fabric. It was a century ago that the Scottish textiles industry registered it’s trademark Orb stamp, and Harris Tweed has not changed much since. 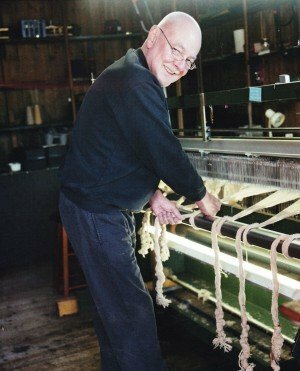 Still woven by hand in the Outer Hebrides, the wool cloth is so protected that each metre that leaves the islands has it’s own ‘passport’ registered with the Harris Tweed Authority so that it can be traced back to the person that brought it to life. 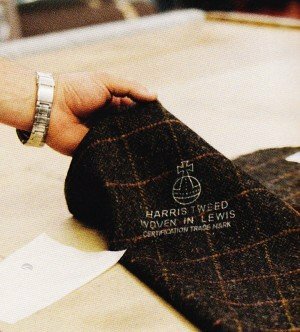 With a growing demand by consumers to know about the provenance of the products that they buy, Harris Tweed is now in much demand, and as a result the industry has more work for weavers than it has had for many years. 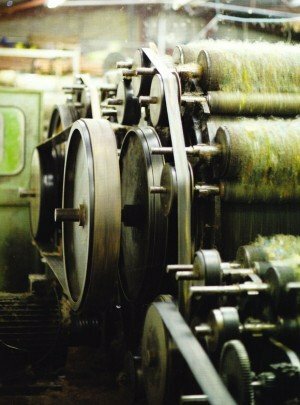 Because it is hand woven, no two lengths of Harris Tweed are the same, and each bears the hallmark of the weaver that has made it. However, what each length of cloth has in common is its relation to the colours of the landscape and the hues of the sky of this part of the British Isles. 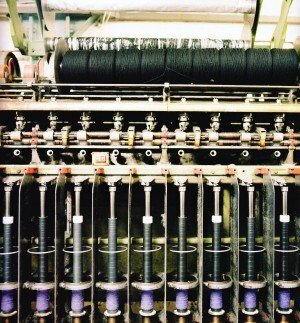 There may be up to 20 colours in one design, and this is what makes Harris Tweed so special. In our next post we will be looking at British clothing brands that are using Harris Tweed today. If you would like to suggest a brand to be featured then please leave a comment below. 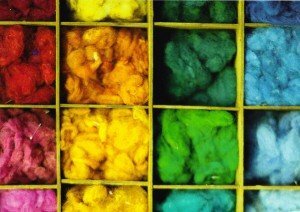 Great post about Harris Tweed! <3 I took a photo similar to that first one when I visited the island a few years (wow, is it really years?) ago. I love the endless possibilities of colours and weaves, I don't know how people can still think of it as a "man's cloth". Anyway, I'm wittering away here 😉 I'm a designer almost ready to launch my first collection (I found your blog as you have started following my Twitter – http://twitter.com/bysophiejayne) which will be designed entirely in Harris Tweed and *hopefully* entirely made in the UK. Great to hear about your collection. I will definitely be in touch.